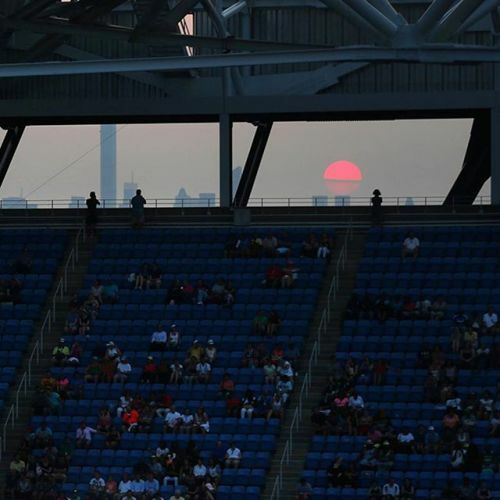 “One last August #sunset seen from Arthur Ashe Stadium in Queens on Monday. The @nytimes staff photographer Chang W. Lee took this photo not long after @serenawilliams began the final leg of her Grand Slam journey, winning against @vdiatchenko in barely 30 minutes. Follow @nytimessports to see more from the @usopen. #” By nytimes on Instagram.